Ok, so you have made the plans of purchasing a home, maybe tired of paying rent, maybe tired of living @ home, or maybe it’s just time! A little vision ahead can be a positive thing…….a Down payment is crucial,of course. How do u set aside $ for a down payment, though? Well, there again, a future “look ahead” is smart. Deadlines are a serious requirement for any goal to be achieved. Set your time frame on paper and STICK to it. Create an account in a bank designated solely for your monies to purchase. Just like a vacation fund, swear jar, or savings account, it is for that reason only. Automatic deductions from your account can be a way of “out of sight, out of mind” course of saving. IRA? some offer first time home buyer benefits- good to look into. Crazy, fun ways to “pack away” $ could be- instead of buying the 4-5 dollar cup of coffee, go to the dollar per cup place….pack a lunch instead of visiting the local restaurant…. utilize coupons….. buy things in qty to save- there are several options. Make a game of it between you and your significant other, who can find the more clever ways. Remember every thought is just a thought, unless an effort on that thought is put into action! Having that implemented in my mind, I thought I would pass on some thoughts I have in being a Realtor, on the psyche of a potential buyer, and suggestions to possibly ease the anxiety. 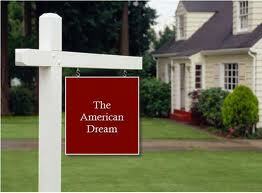 Have a wonderful 4th of July & Enjoy the independence of a Great Country, where the American Dream =Home Ownership! The thought came across my mind the other day about how the topic of this blog is sometimes lost in this crazy world we live in. For instance, when we meet someone and say “How are You?” do we really listen to the reply? Or “have a great day!” do we mean this in sincerity or do we just say it? I’ll be the first one to admit that sometimes in this hurry up, multi tasking society we reside in, that it escapes me. Being a Realtor, and living out of our cars, it gives us lots of time to think, being on the road, between appointments, so forgive me if this sounds a little strange/ I just have the mindset that if I am thinking of this, might be a possibility of someone else? and if not thought of b4, that this might be thought provoking. In Sales, it’s always indicated thru speakers that I go to, we have one mouth and 2 ears for a reason!/LOL /cliche- but true! The other day in the office/ one of my co-agents said these words. Funny, I never heard in all the 14 yrs of doing this, this expression! Boy, aint it the truth though! Case in point, just a few happenings as of late to me that proves the theory. a week or so ago I attended a grad party and one of the guests that I hadn’t seen in a while indicated he was going to begin his search again as he was getting married next yr.
Can your Attitude really make a difference? This excitment rubbed off on everyone in the room…..and even with the heavy rain occuring outside, the happiness in that moment, far exceeded any “dampness” that could have developed! This just reinforced my belief in that a positive attitude at all times, whether internal or experienced external, can have amazing effects. Life is full of unknowns and challenges. The best way to handle these is with a positive outlook. It’s easier on the soul and has greater consequences on all involved. Happy #Father’s Day to all Dads out there! Enjoy your day and be thankful of your blessings! I know I am! Lastly, Since most First time buyers are of Generation Y/ they prefer texting as a way of communication. What a great feeling as a Realtor to assist this type of Purchasers and get them into their home of choice! Is it more difficult now, to get a mortgage? This question has been poised to Realtors, more so in recent yrs, since the happening of the mortgage crisis a while back. I always concur that yes, the lenders are more scrutinizing, but then again shouldn’t they b? Clients are getting mortgage money to purchase, and the hearsay of that is not true is, exactly that- hearsay. 640 credit score is the norm although there are some programs out there, I believe, that will go down to 580. 100% financing programs are still available, again, as I have heard thru conversations that people believe they r no more. I will admit that the banks are asking for info on purchasers that they never did before, some (to my opinion) ridiculous requests, but necessary to obtain the loan. So, Buyers, or potential Buyers, with interest rates still low- b advised that the American Dream of home ownership is possible. With Rents at an average of $1200 (in my local area) per month,and not seeing these rental costs lowering, it is crazy not to consider buying……. We have all had the experience of a combating a seller on the correct List price of their home. They think its worth X and you show them the comparative sales in the area depicting a value of Y. Being in the business for over 13 yrs, I have recently run across my FIRST listing that I really need to very seriously think, if I want to service. It’s not like a Realtor to give up easy, and I am certainly one that fits into that category. Sellers will say that I NEED to get “this much” out of the sale of their home. The problem is that the needdoes not sometimes jive with true Appraised or market value. A Listing Price can be any amount, but if a Seller is realistic and level headed, and they WANT to sell- it has to be put on the mkt at a value similar to other sales, plain and simple. Wishing everyone a great Friday & Weekend! A Latin expression meaning “time flees” or more commonly know as “time flies.” This topic came to mind this past week as I married off my Daughter at the ripe age of 25- it is a memory that will be with me for the rest of my natural life! I think where did 25 yrs go? Funny when u think, a quarter of a century, sounds like a loooong time/but realty is, that it’s quite the opposite. I went on a listing appointment this week and the seller indicated to me that he was 50 and was not “wasting” time anymore, as he has a different path planned for the beginning of the second 1/2 century of his life. With technology these days, we all have conveniences at our fingertips to pack more and more into our daily lives. But, does this make our hrs go by quicker? I would bet to think not ,and that pre high technology lifestyles, went by just as quick. Realtors will be the first to tell you about time flying as many work a high qty of hrs. Within this profession, we also see in the lives we assist in buying and selling, how weeks……… yrs slip by thru life changing events such as divorces, downsizing because of children grown and gone, & relocation of residences that are a hard fact of life to a widow or widower. Life is a precious gift /we should live everyday to its fullest. 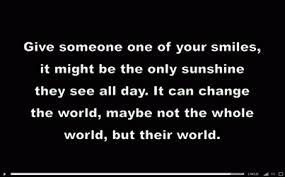 Be Happy, and treat others as u would like to be treated. A #realtor‘s responsibility to their#Seller is to expose the home to as many potential Buyers, in the event to locate that one, that decides to put pen to paper and write-up an offer. In today’s technological world, when an #Open House is put in a newspaper, it also is syndicated to many websites, so it may catch the interest of a possible Client. It also opens a neutral territory for a Customer & Real Estate agent where they can meet face to face. A potential Buyer can evaluate the Realtor as a possible Buyer Rep for them if in fact they don’t have one at the time. Or the other side of the coin, a Customer may be looking to size up a realtor to list their home as well. Reasoning on whether yes or no to Opens, could go on and on. Bottom line and simple, it’s another avenue of getting the home in front of a buyer!